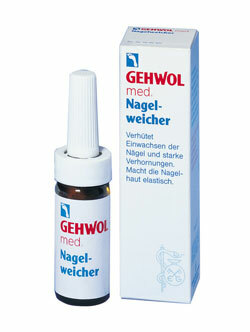 Gehwol nail softener effectively prevents discomfort of an ingrowing toenail. Hard nails and callus around the nail walls are softened and pressure alleviated. Dry and damaged cuticles regain their elasticity and are easily pushed back after application.. This product is only to be used on ingrowing toenails that are not infected. When tender, ingrown toenails need treatment. There's no pain quite like that of an ingrown toenail. 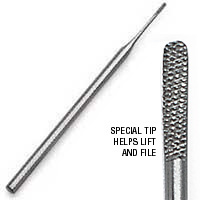 This professional, stainless steel tool, with its very thin file on top and rounded edges, helps you work into difficult areas and give painful ingrown toenails the care and attention they need. Can be used on either wet or dry skin. Material Content: Stainless steel blade. Care: Rinse under running water.